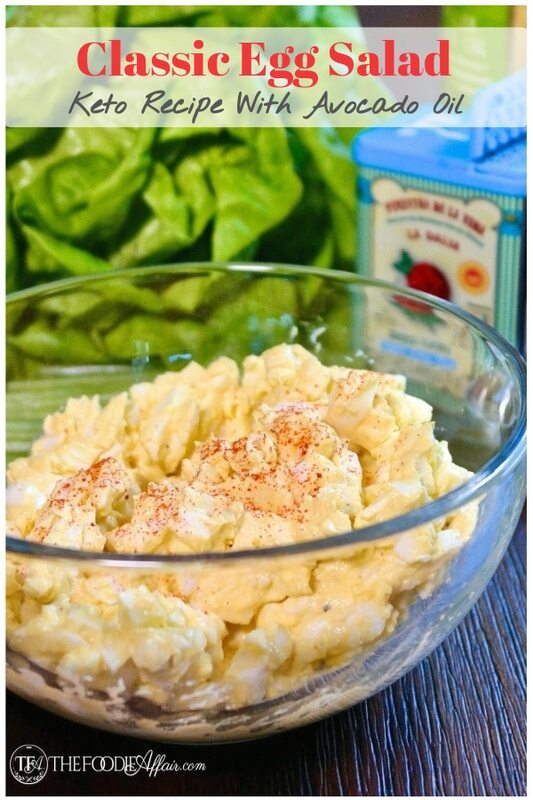 Keto egg salad made simply! 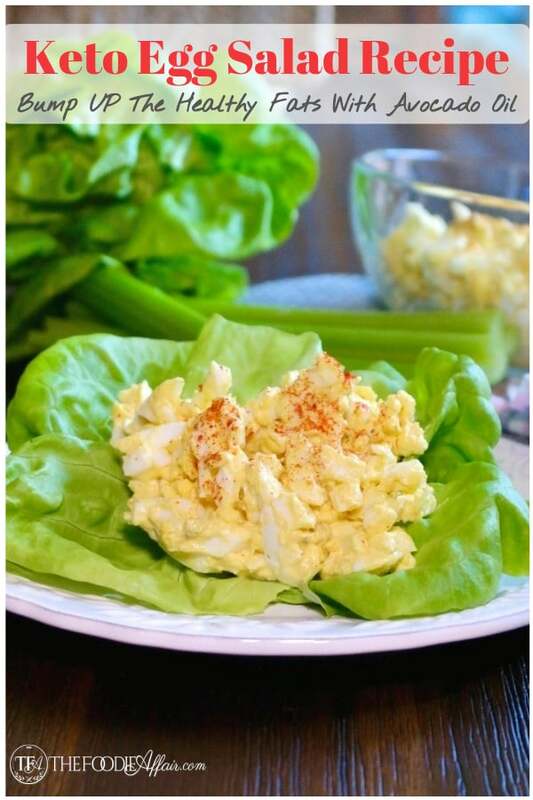 Enjoy this creamy salad over crisp lettuce leaves or serve as a dip with celery sticks. For those not watching their carb intake serve in rolls. This is a sponsored post in conjunction with #EasterBrunchWeek #ad and these sponsors; Hamilton Beach, Rhodes Bake-N-Serv® and Silpat. All opinions are The Foodie Affair’s. 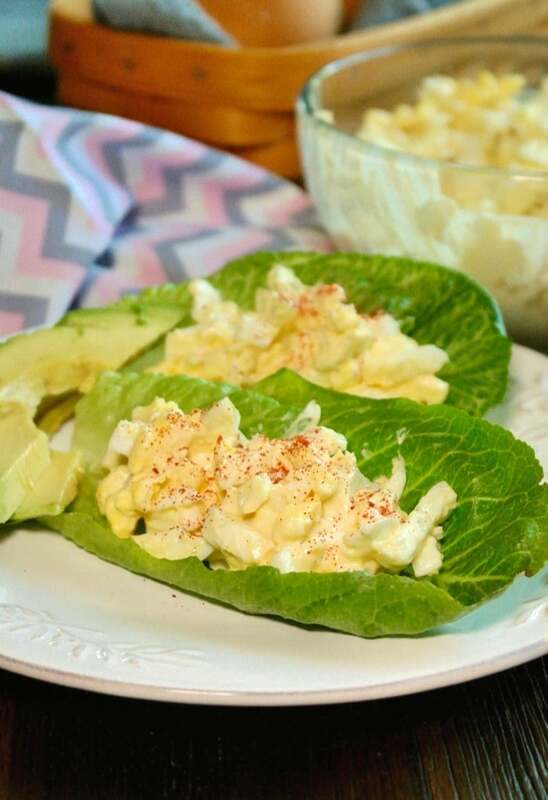 What Is Keto Egg Salad? 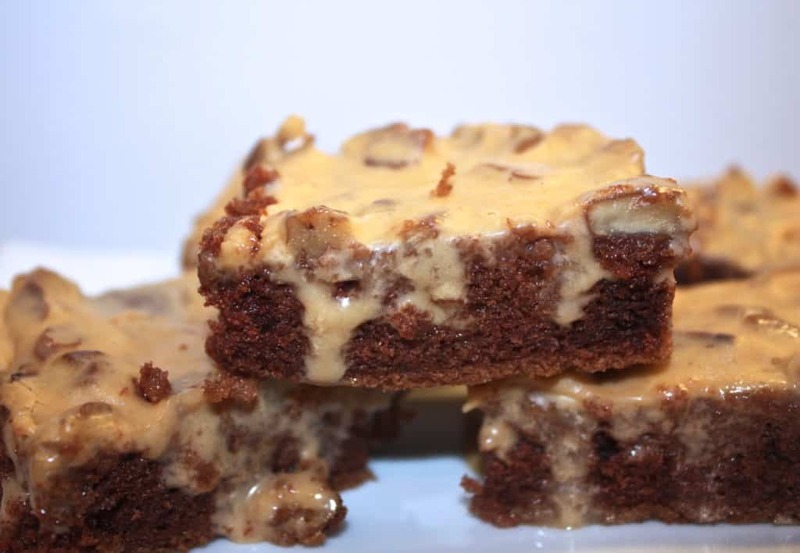 As explained in this low carb chocolate peanut butter fudge recipe, a ketogenic diet primarily consists of high-fats, moderate-proteins, and very-low-carbohydrates. Although the classic recipe is naturally low in carb, this recipe increases healthy fats with avocado oil adding an additional 5 grams of fat. You’ll find some recipes that use fresh avocado pulp in place of some or all of the mayonnaise, which is tasty as well. Avocado oil is a stocked in my pantry at all times, which is why I prefer it! First, cook the hard boiled eggs. 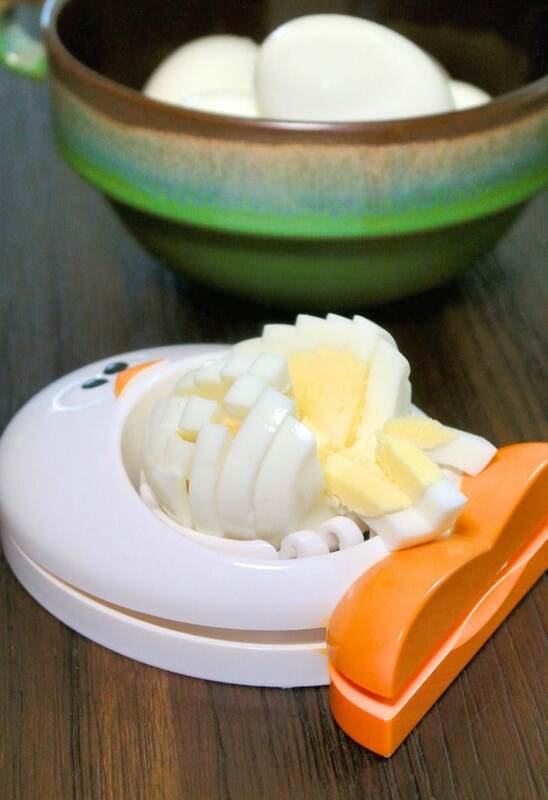 The easiest way to cook foolproof hard boiled eggs is to use Hamilton Beach egg cooker! 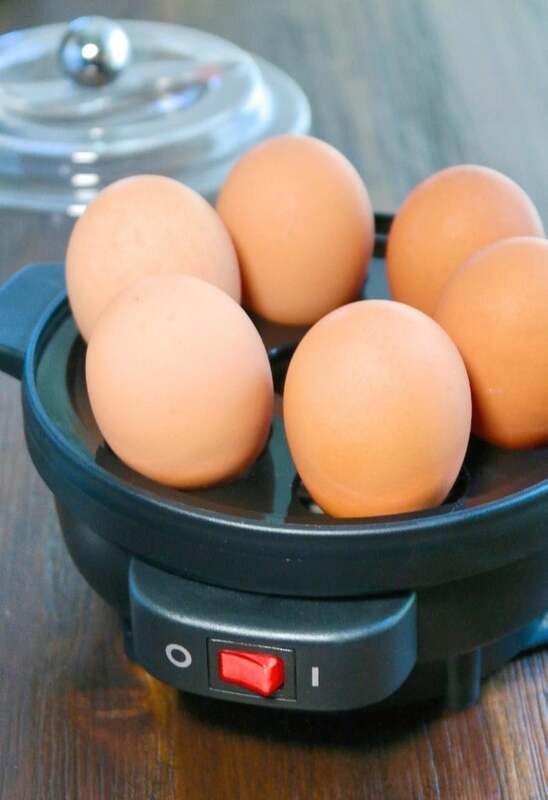 The egg cooker comes with a measuring cup marked for the type of eggs you want cooked – hard, medium or soft cooked. Simply fill it to the water line, place it it in the center water reservoir, add the eggs, cover with the lid, and press the switch on. The bell will ring when the eggs are cooked. It’s THAT easy! 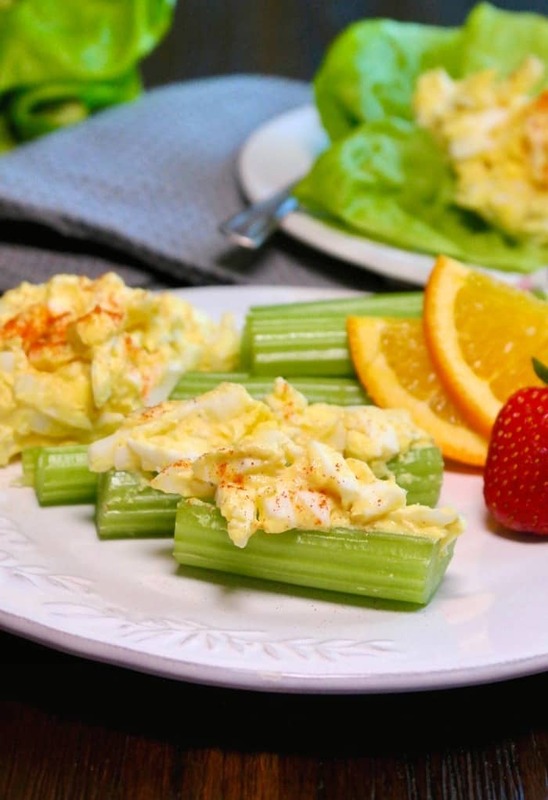 To keep my meals low carb, I enjoy this salad over lettuce and wrap it up like a burrito or scoop it up with celery sticks. On the other hand, Alan needs the extra carbs, so he enjoys this salad packed in a sandwich! Rhodes Bake-N-Serv® is handy to use for a sandwich. For instance, they’re stored in the freezer, so bake just one, two or a half dozen rolls at a time. In just 12 minutes fresh sandwich rolls are baked! 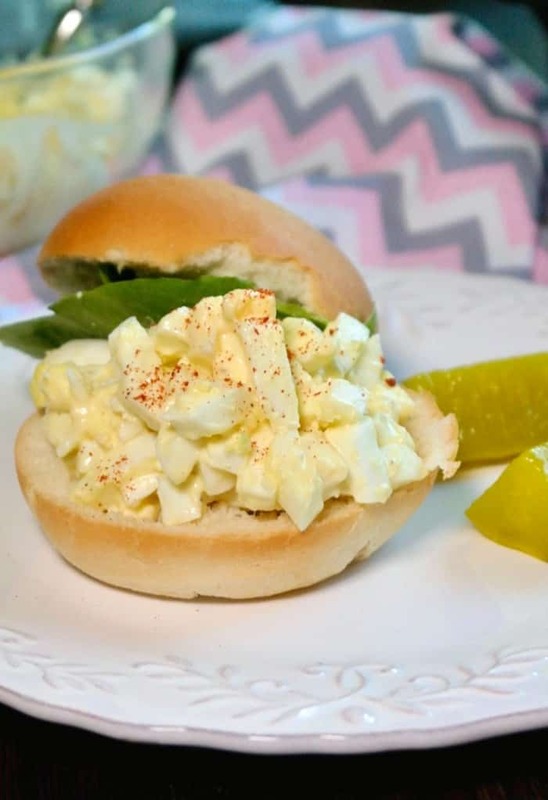 You might also love this crab salad or curried chicken in a sandwich. 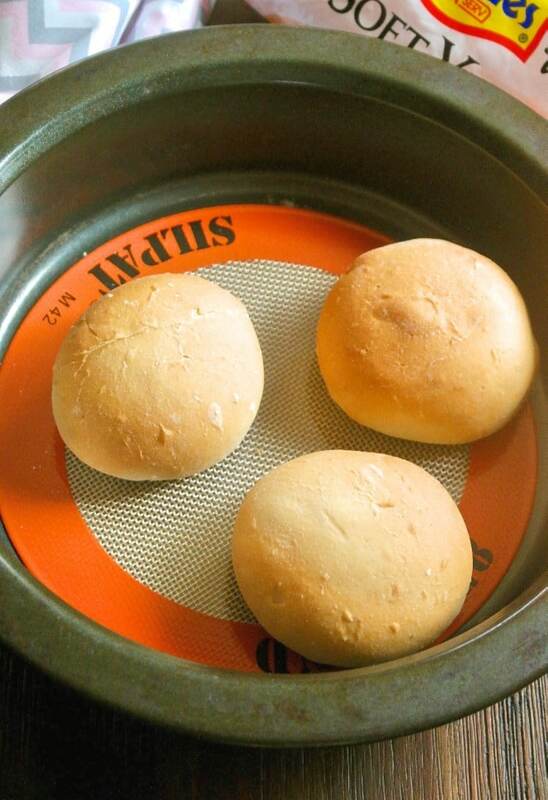 To bake the rolls, I placed a round Silpat mat on the bottom of a baking pan, which is super convenient! Although this particular style of mat is mostly used as a reusable cake liner as shown in this Double Chocolate Fudge Cake, I’ve found it to be perfect for these sandwich rolls! The best part is that there is no need to grease a baking pan or use parchment paper so the rolls don’t stick. How cool is that?! Be sure to enter the Easter Brunch Week Giveaway for a chance to win some of the great prizes! 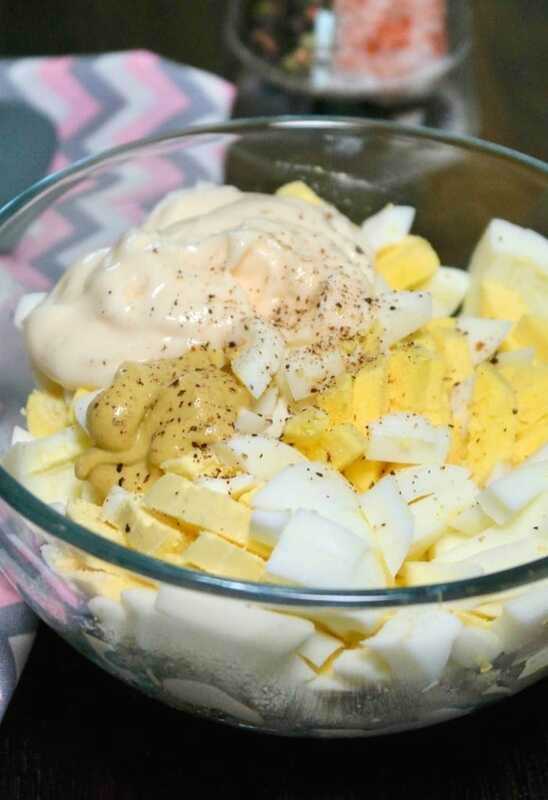 Creamy and simple keto egg salad. Serve over lettuce leaves with slices of avocado or serve in rolls for a sandwich. Prepare hard boiled eggs and remove shells. PIN to your salad and Easter boards! Pin to your low carb and keto boards! 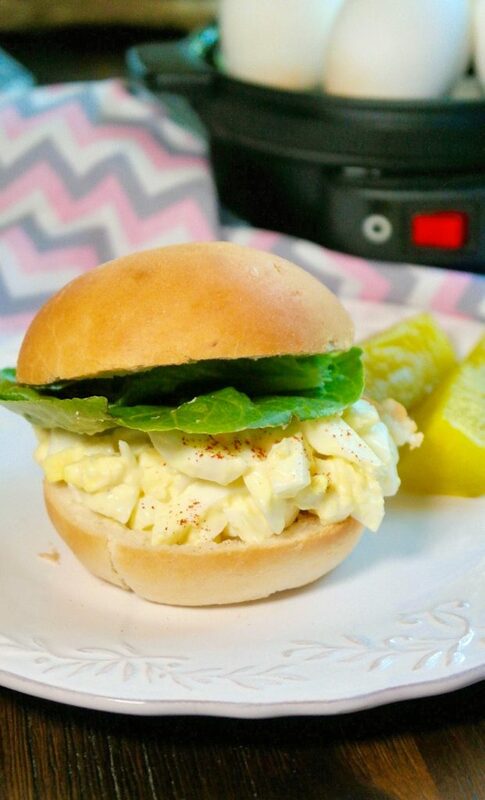 Egg salad is one of my go to lunches…I usually have hard boiled eggs in the fridge. We do too, Karen. Both my husband and I eat eggs every day. 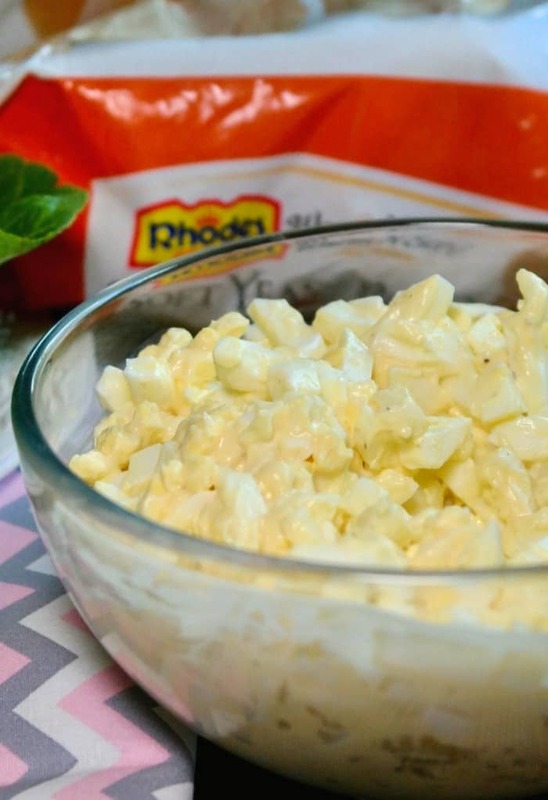 Egg salad is what I’ve been bringing to work. The avocado oil is perfection these… a twist on our normal recipe… Thanks for the idea! Thanks, Michele. The little extra fat is quite filling. 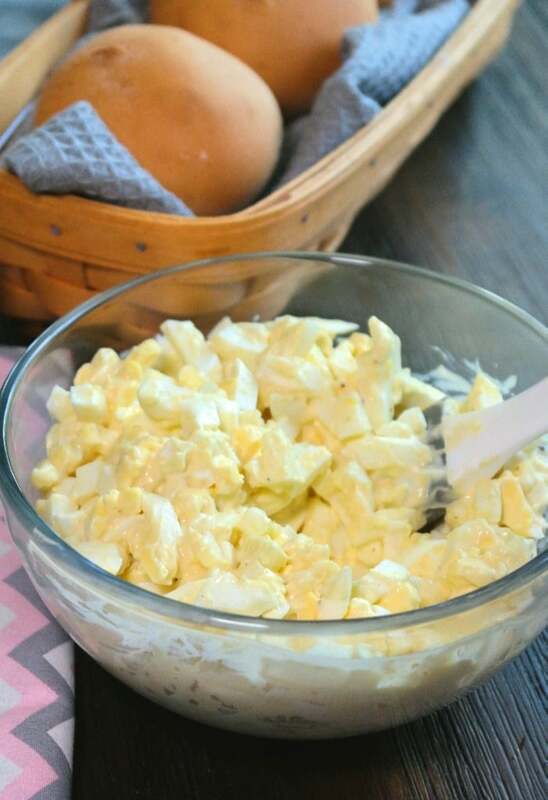 I LOVE a egg salad!!! It really fills me up. Can’t wait to try this KETO version!